"...The building at Mirabeau and Vauban streets is the premises of Pavage CSF Inc., a paving company that has received tens of millions of dollars in contracts from the City of Montreal for work repairing and constructing sidewalks, curbs and traffic islands. "It is also listed in the provincial corporations registry as an office of Mirabeau Construction, a company that has landed contracts for at least $24 million in work, including major work on city sewers. "Both companies are owned by a network of provincial and federal numbered corporations. The principal shareholder of one of Mirabeau Construction’s parent companies is Domenico Arcuri, while other shareholders of both companies are listed as Domenico Cammalleri and Domenico Miceli. "Arcuri has ties to the Rizzuto mob family. His name appears about 20 times in summaries of wiretaps from the joint police anti-Mafia operation Project Colisée, and he was spotted with Mafia bigwigs in December 2005 at the former Consenza Social Club in St. Léonard, an east Montreal café where Rizzuto and other mob bosses would meet." "The latest edition of the book Mafia Inc. by journalists André Noël and André Cédilot says Arcuri was at the heart of the reorganization of the Montreal mob. "Last weekend, a trio of homicides in the Montreal area — in which one victim was the leader of a prominent street gang and another victim a member of the same group — sparked speculation of emerging civil strife in the city’s underworld. It’s possible things are heating up before the anticipated return to Canada of Montreal Mafia kingpin Vito Rizzuto, who is scheduled to be released from a Colorado prison in the fall..."
Nationwide, budget cuts have axed 627,000 public service jobs just since June 2009. Schools, health clinics, fire stations, parks, and recreation facilities--virtually no public service has gone unsqueezed Tax dollars haven't seemed this scarce in generations. Yet tens of billions of these scarce tax dollars are getting diverted. These tax dollars are flowing from average Americans who depend on public services to the kingpins of America’s private sector. They’re subsidizing, directly and indirectly, the mega-million paychecks that go to the top executives at our nation’s biggest banks and corporations. Of last year’s 100 highest-paid U.S. corporate chief executives, 26 took home more in CEO pay than their companies paid in federal income taxes, up from the 25 we noted in last year’s analysis. Seven firms made the list in both 2011 and 2010. The four most direct tax subsidies for excessive executive pay cost taxpayers an estimated $14.4 billion per year—$46 for every American man, woman, and child. That amount could also cover the annual cost of hiring 211,732 elementary-school teachers or creating 241,593 clean-energy jobs. CEOs have benefited enormously from the Bush tax cuts for upper-income taxpayers. Last year, 57 CEOs saved more than $1 million on their personal income tax bills, thanks to these Bush-era cuts. It's time to look at the New American Mafia, the Conservative "Administration." (See "Italian Mafia Lingo" for more --> http://www.fanabala.com/) In Wikipedia's article on the American Mafia, "...the American Mafia...is a secret criminal society. 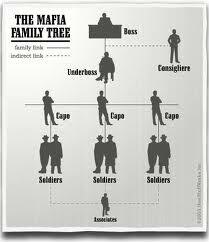 Its members usually refer to it as Cosa Nostra (Italian for 'our thing'). The press has also coined the name 'National Crime Syndicate' to refer to the entirety of U.S. organized crime, including the Mafia." 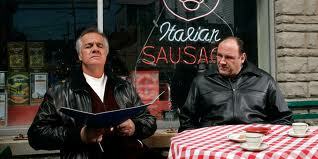 Tony Soprano was a piker compared to the Conservative capos today. From ownership of the banks, the media, the beverage industry, the casino industry, and businesses in all sectors of the country, the Conservative crime cartel has done what the Sicilian mafiosa failed to do - completely control the country. The time is long past when Conservatism should have been outlawed. Winks hard, and talks of darkness at noon-day."